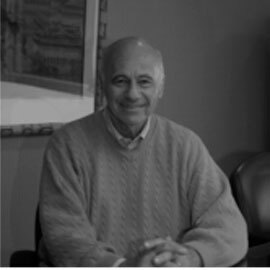 Leo Guthart is the Founder and Chief Executive Officer of Topspin Partners. Prior to founding Topspin, Dr. Guthart was President, CEO and Chairman of Ademco Security Group, which he joined in 1964. Under his tenure, the company grew from a fledgling manufacturer to become the Pittway Corporation Security Group, a $1.5 billion enterprise. This group encompassed the world’s largest manufacturer and distributor of security systems in addition to a number of security-related businesses. Following its sale to Honeywell International in 2000 for $2.2 billion, he was named as CEO of Honeywell’s Security and Fire Solutions Group. Dr. Guthart currently serves on the Board of Trustees of Cold Spring Harbor Laboratory, where he is the treasurer, the Board of Trustees of Hofstra University, and the Board of Trustees of the Stony Brook Foundation. Dr. Guthart has also served on the boards of several publicly traded companies. Dr. Guthart received his A.B. in Physics from Harvard and his MBA from Harvard Business School, where he was a Baker Scholar. He also received a Doctorate from the Harvard Business School with a specialty in Corporate Finance and served on the faculty at Harvard as a Ford Foundation Fellow.